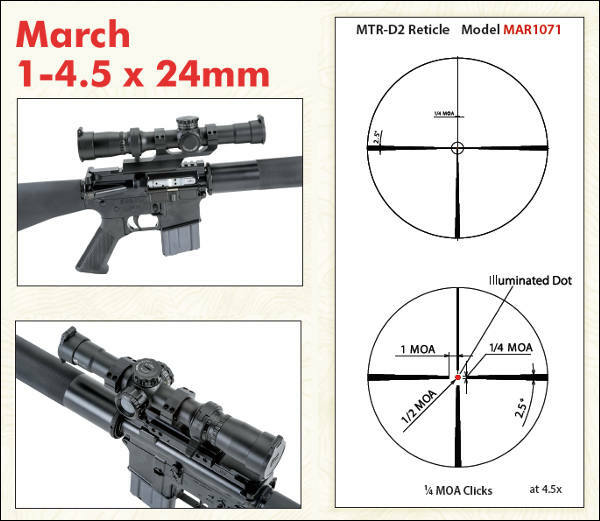 The March 1-4.5x24mm scope was designed expressly for Service Rifle competition and tactical applications (it will focus down to 10 yards). This first-focal-plane optic features 1/4″ MOA clicks and optimal eye relief for AR-type rifles. 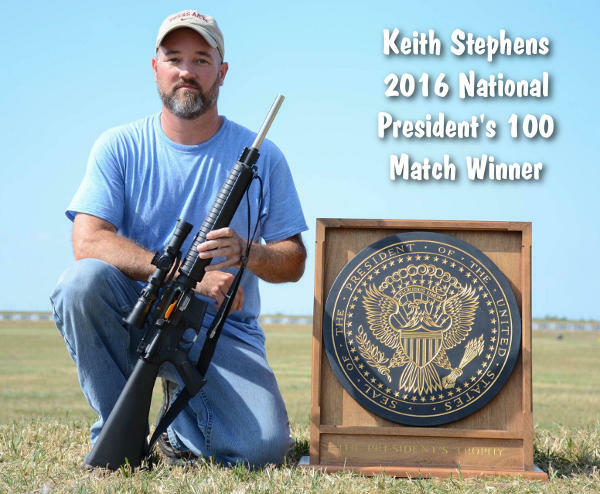 March’s optics experts tell us: “This scope was specifically designed for the Service Rifle match shooter. Oversized tactical turrets allow for easy windage and elevation adjustments. High-quality ED (low distortion) lenses provide superior image resolution”. 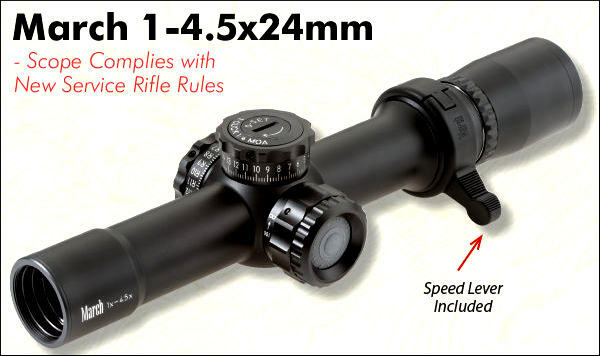 Current retail price for this scope is $2338.00 from Bullets.com. 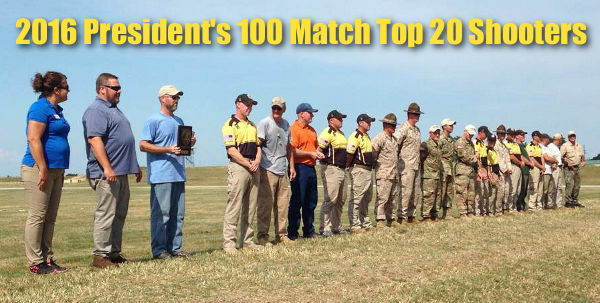 Share the post "Optics-Equipped Service Rifles Dominate President’s 100 Match"
What is the most-used piece of equipment on this editor’s reloading bench? No it’s not my Rock-Chucker press, or even my calipers. The one item in near-constant use is a small, folding magnifying glass. Mine folds into a square case and offers 4X viewing with an 8X bifocal insert. With this handy tool I can inspect case mouths for burrs, check primer pockets, inspect meplats, and look for flaws on bullet jackets. I also use the magnifier to see rifling marks on bullets seated into the rifling, or check my bolt for galling. The number of uses is nearly endless. I keep one magnifier at my reloading bench and another in my range kit. Folding magnifiers are so handy yet inexpensive that you should own a couple spares (including one in the range box). 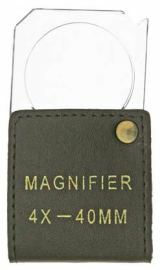 I bought my magnifier in a book-store, but you can also find them on the web at FoldingMagnifier.com and WidgetSupply.com starting at just $1.95. To see the finest details, Widget Supply offers a powerful 9X/18X slide-out magnifier with a built-in, battery-powered LED light. With that gadget, you can easily see any minute flaws in your barrel crowns. That’s important because crown damage can cause hard-to-diagnose accuracy issues. We’ve known guys who spend weeks tinkering with loads, when the real problem was a worn-out or damaged crown. Share the post "Handy Magnifiers Help Old Eyes with Reloading Tasks"